Xodus’ environmental team will draw on its extensive deep water and drilling ESIA experience to undertake the study for drilling activities in the Sangomar and Rufisque blocks for Capricorn Senegal Limited, a wholly owned subsidiary of Cairn Energy PLC, Operator of the RSSD blocks. 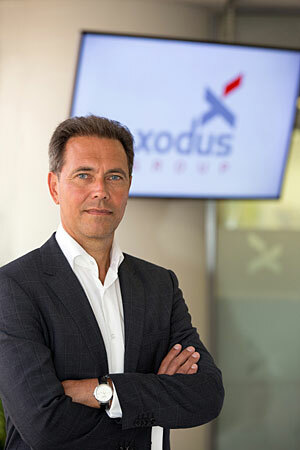 Xodus will also perform an ESIA for the Phase 1 Development, comprising a FPSO, over the SNE deepwater oil field located in the Sangomar Deep Offshore block for Woodside Energy (Senegal) B.V., as Development Lead for the SNE Phase 1 development. As well as the ESIAs, the scope also includes safety studies that Xodus’ Technical Safety and Risk (TSR) division will work with the environmental team to deliver. Xodus will work with its in-country partner, Earth Systems, to assist Capricorn and Woodside to ensure compliance with Senegalese Environmental Law. Capricorn has a 40% working interest in the joint venture, alongside partners Woodside (35%), FAR Ltd. (15%), and Petrosen (Senegalese National Oil Company) (10%). The SNE well was one of the world’s largest oilfield discoveries in 2014. The transfer of operatorship to Woodside for the development phase is planned to take place next year with Cairn continuing exploration activities on the acreage. The joint venture plan to submit an evaluation report and exploitation plan to the Government of Senegal in 2018. The Front End Engineering and Design (FEED) is also planned to commence next year with a FID targeted before the end of 2018.